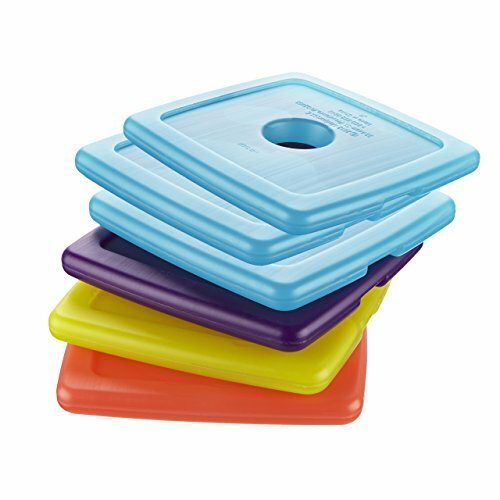 Multicolored Cool Coolers Ice Packs are perfectly sized to fit in all types of lunch boxes and bags, grocery totes and coolers. So head off to school, camp or work with cheese, milk, fruit, yogurt and veggies knowing that what you pack will stay cool and fresh until you are ready to eat. Fit & Fresh offers innovative and convenient solutions to make it easier to eat healthier at work, at school and wherever you go with a complete line of reusable containers, insulated lunch bags, coolers, insulated totes and more. If you have any questions about this product by Fit & Fresh, contact us by completing and submitting the form below. If you are looking for a specif part number, please include it with your message.